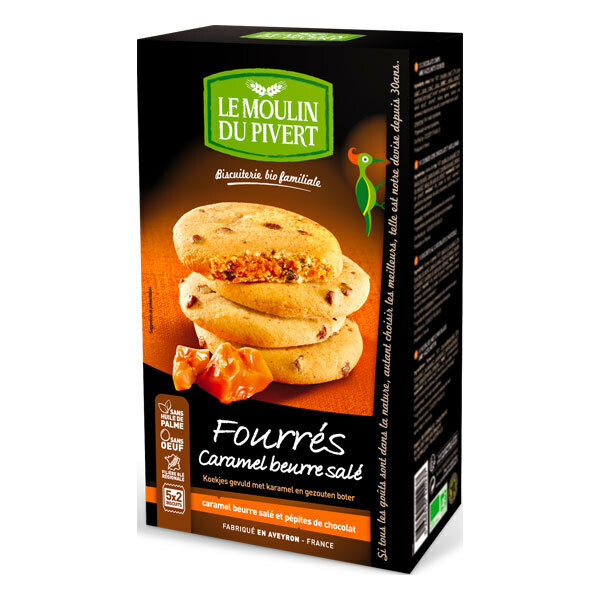 What more delicious than salted butter caramel filled cookies, made in France without GMO? Free from palm oil. 175g pack. Established for over 10 years in the Aveyron, the family business Le Moulin du Pivert is specialised in the manufacture of products that are exclusively organically grown. Discover a complete range of 100% organic tasty and traditional cookie recipes, crackers, and other grilled chocolate cookies that the whole family will enjoy!